Chris Pritchard has been published on MindBodyGreen and Elephant Journal. Open World Yoga is a space for the exploration of yogic ideas and practices, with an emphasis on meditation and critical thought. Exploring yogic ideas requires addressing common themes and situations we all experience, as well as touching on current events in our world. Current events will include not only things happening in the world of yoga, but events happening in our society. In fact, much of what I write here will center on current events through a yoga philosophy lens. That means we will touch on politics. Using core yogic ideas such as clarity of perception, self-reflection, and improvement of behaviors based on critical analysis of observed phenomenon, we will analyze situations in an effort to promote understanding and rational thought. In other words, we will make the best effort at seeing the world as it is in order to recognize what actions are necessary to promote the highest good for all people. 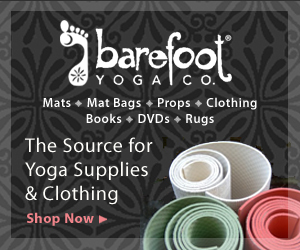 To many this may not seem like a yoga website since we won’t explore the latest popular asana, or sequence of asanas. Yoga is much more than postures, or bone bending movements, it is a practice of cultivating our best self, and that is done through inward practices such as meditation and the study of our thoughts and actions. This site is dedicated to asking hard questions, considering observable phenomenon, and applying reason and logic for the sake of uplifting the world.